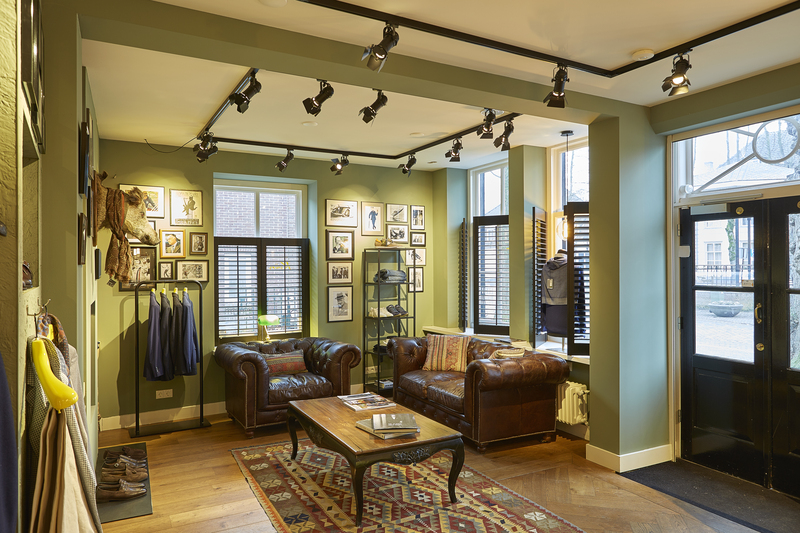 JASNO shutters are not only atmosphere enhancing in the home; they also perform perfectly in a clothing store like Kaïn Luxury Menswear & Tailoring. In this store located on the Markt in Eersel, the complete interior is finished with our shutters. The result ensures a relaxed shopping experience. To create this particular atmosphere, owner Kaïn Zwierink opted for shutters in black, silent view model with 63 mm louvers. Notable is the fact that not the entire window is covered with shutters; in this case, shutters are used to cover 2/3 of the window area.